Spring Hair Update…All about Stylers! 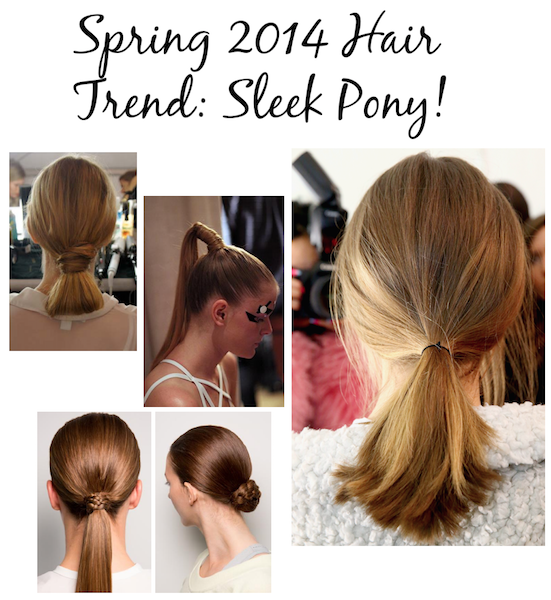 When I was at Fashion Week for Spring/Summer 2014, one of the key hair trends was a sleek ponytail. Whether high, low or on the side, the look doesn’t just happen. 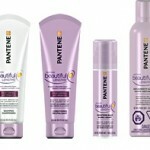 Styling products are necessary to get the desired result. 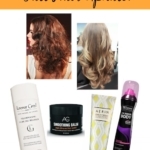 Here are some of the newest styling products that can help you get the look. Whether it’s a stylish pony or not, every style needs to start with clean, healthy hair. I’ve been using new Suave Naturals® Almond Verbena 2-in-1 Shampoo and Conditioner. It’s Infused with almond oil and vitamin E and a great option for when you’re in a hurry. I haven’t had any product buildup with use. Available in drug, discount and grocery stores. A dry shampoo is also an essential product to have on hand. Some stylists like to use a dry shampoo for updos and ponys as it gives the hair more volume. I’ve also had stylists tell me that “second day hair” is often better for styling. I like a dry shampoo to refresh hair, when I travel or especially after working out. A new favorite is the Philip B. Russian Amber Imperial Dry Shampoo. I love the Russian Amber Shampoo (review) and am happy to report that the Imperial Dry Shampoo has the same fabulous scent and works just as well. 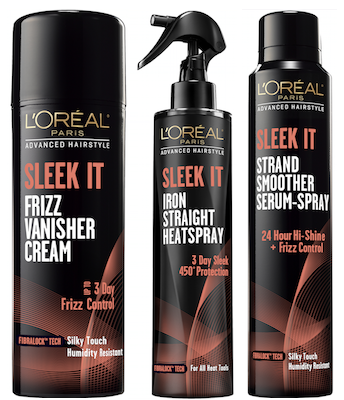 Hot on the heels of the Advanced Haircare line (review) , L’Oreal Paris is introducing the Advanced Hairstyle range. There are 14 stylers across five hair segments – hold (“Lock It”), volume (“Boost It”), smooth (“Sleek It”), curl (“Curve It”) and texture (“TXT It”). The “Sleek It” range is perfect for getting that perfect pony. To get the style, apply Frizz Vanisher Cream to damp hair. Blow dry hair until it’s almost dry; use a paddle brush for best results. Gather and secure hair using a tie. Smooth any flyaways with Strand Smoother Serum-Spray, finish with Lock It Weather Control Hairspray. One issue I have is fine hair that needs volume; but so often I use a product and find that it weighs my hair down. The new Dove® Oxygen Moisture collection is made for women with fine hair. The products contain Oxygen-fused moisturizing ingredients that deliver a balance of moisture and volume to hair. It works! There are four products available: Dove® Oxygen Moisture Shampoo and Conditioner, Leave-in Foam and Root Lift Spray. The Root Lift Spray is my favorite and I find that I really do see a difference in volume with use, with no build-up. A repair product that I’ve recently tried came to me in a package containing P&G Olympic Athletes’ favorite products. Mikaela Shiffrin counts the Pantene Repair & Protect range as one of her favorites. The Pantene Repair & Protect Overnight Miracle Repair Serum is a weightless, non-sticky cream formula that you work into hair at night. And no residue or mess on your pillow, either! In the morning, you follow up with your normal hair routine. I’m kind of obsessed! I’m always on the lookout for good heat protection products and AG Hair has just introduced two new products that not only protect hair from heat damage, they prolong color. The BB Cream is really a hair primer; it provides UVA/UVB protection to help prevent fading, fills uneven hair cuticles, moisturizes, smooths and adds silkiness. Deflect is the fast-dry heat protection spray that reduces drying time, reduces styling breakage, and provides a protective barrier when heat styling. Both great products! Whatever style you wear, a finishing spray is a must. The Mark Hill Salon Professional Hair Care Collection (review) has added new stylers to the line and they’re excellent. I continue to be impressed by the quality of these products. The products that I’ve been using (and loving) include the Mark Hill Gorgeous! Work It Girl! Shine, Protect and Control Spray ($11.99), a combination heat protectant, shine enhancer and holding spray and the Mark Hill Gorgeous! Fabulous Finish Hairspray (11.99), which gives you a natural hold (and shine!) without any buildup. 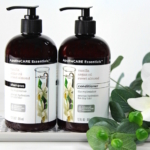 This line is fabulous–check it out at Walgreens. What hair products are you using and loving at the moment? Let me know in the comments! 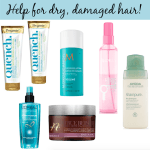 Save on Dove Regenerative Nourishment Hair Products at Walgreens! I use Avon Advanced Techniques Moroccan Oil Shampoo and Conditioner, I have SUPER long hair that is a NIGHTMARE to brush through when wet so I use Avon Naturals KIDS Detangler, I use Avon Advanced Techniques Moroccan Oil Leave in Treatment, THEN if I want to straighten my hair I use Mark (Avon) Give it To Me Straight and thats all or if I want to rock my now curly hair thanks to 3 pregnancies… I use Mark (Avon) Curl Commander. I highly recommend all these products. My hair has never felt or looked better!